Damien Hirst was born in Bristol in 1965. He studied at Goldsmiths College in London and first came to public attention in 1988 when he conceived and curated "Freeze," an exhibition of his work and that of his friends and fellow students at Goldsmiths. In the near quarter century since that pivotal show, Hirst has become one of the most prominent artists of his generation. 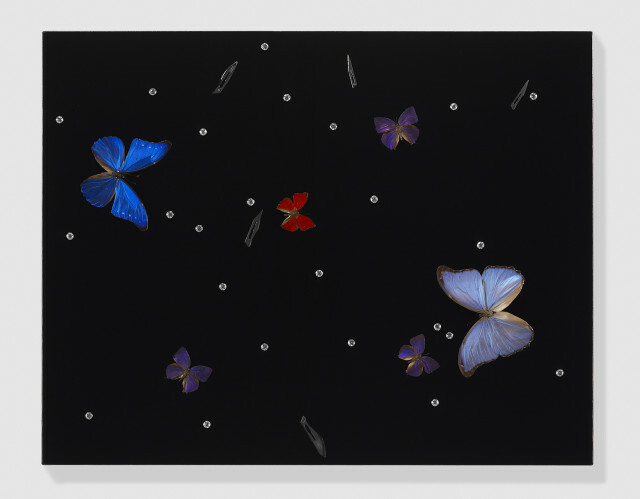 Many of his works are widely recognized, from the shark suspended in formaldehyde, The Physical Impossibility of Death in the Mind of Someone Living (1991) and his spot, spin and butterfly paintings, through to later works such as the diamond skull For the Love of God (2007).